An emerging vehicle trend would help trucking companies save money on fuel and may be paving the way for automated trucks. The technology, called platooning, digitally tethers convoys of two or more trucks, enabling them to travel closely together and reducing drag and fuel expenditure. Similar to a group of cyclists, a lead truck cuts the wind for the following trucks, reducing aerodynamic drag and lowering fuel use by as much as 9.7 percent. And thanks to a vacuum effect, the lead truck would also save fuel by as much as 5.3 percent. Using GPS, radars, and vehicle-to-vehicle radio-based communication technology, the lead truck driver controls the acceleration and braking of all the trucks in the group. Trucks in a convoy would hover around each other as little as 40 feet apart. Many U.S. states have rules that would forbid platooning, but others are beginning to support legislation that would allow it, such as removing a common rule requiring 300 feet of distance between trucks on highways. 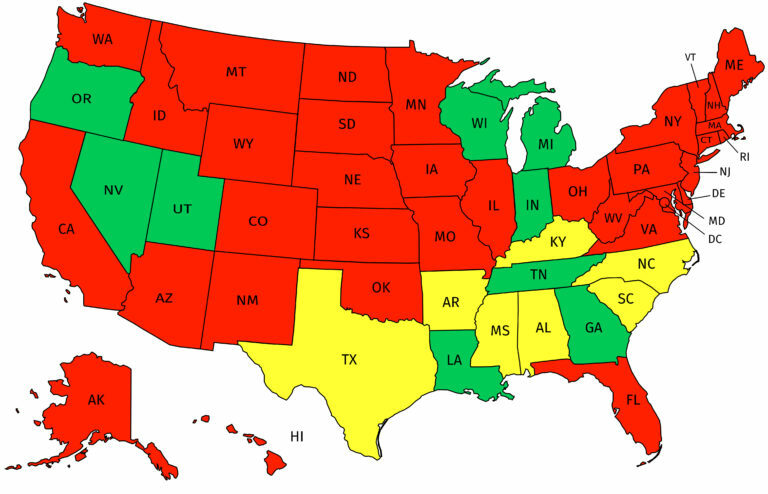 Ten states - Alabama, Michigan, Indiana, Kentucky, Louisiana, Mississippi, Nevada, Oregon, Utah and Wisconsin - have adopted exemptions to the rule to allow for platooning. Platooning trucks in these states can travel with just 40 feet between them, as long as they're equipped with automatic emergency braking and vehicle-to-vehicle communications. Georgia, Tennessee, Arkansas, North Carolina, South Carolina and Texas all allow commercial platooning but with exceptions. Pennsylvania and Illinois are considering allowing it. “Automated platooning technology allows trucks to reducing aerodynamic drag, fuel consumption and tailpipe emissions,” said the Competitive Enterprise Institute's (CEI) Marc Scribner. CEI is a libertarian thinktank in support of the technology. Scribner is coaching states on how to enact legislation. Trucks will become more autonomous in the coming years. 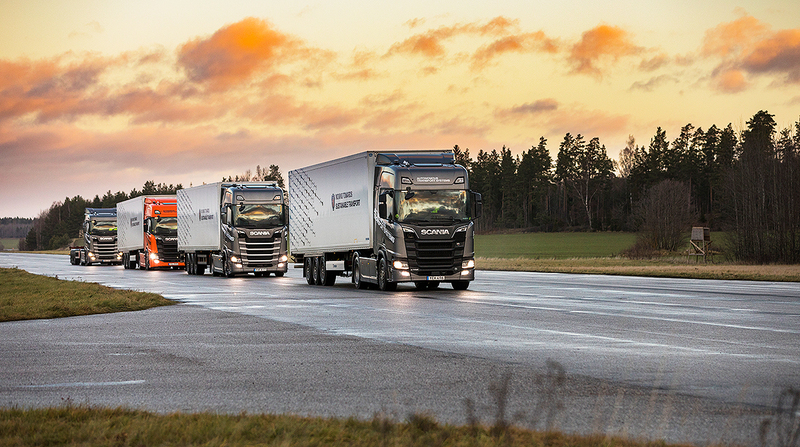 Trucking technology company Scania is developing semi-autonomous platoons, which would forego needing drivers in the trailing trucks. Peloton Technologies, a company at the helm of the autonomous vehicle revolution and developer of platooning technology, says two-truck platooning is already commercially viable. The technology could potentially help mitigate the impending truck driver shortage. In the American Transportation Research Institute’s annual industry issues report for 2017, driver shortage topped the list of critical issues facing the industry for the first time since 2006. The industry was around 51,000 drivers short in 2017 - up from 36,000 in 2016 - and that number is projected to increase to a whopping 174,000 by 2026.